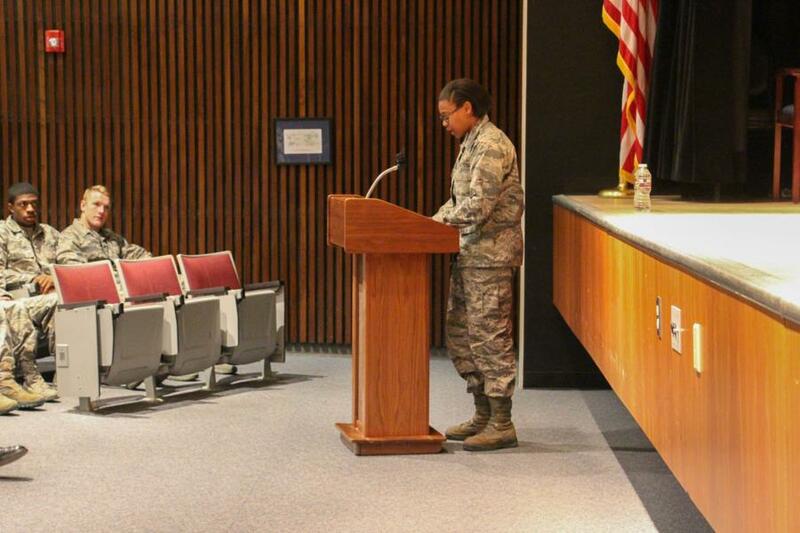 About a month ago 9 C/C's did a Tuskegee Airmen Lesson presentation to the Prep Class. 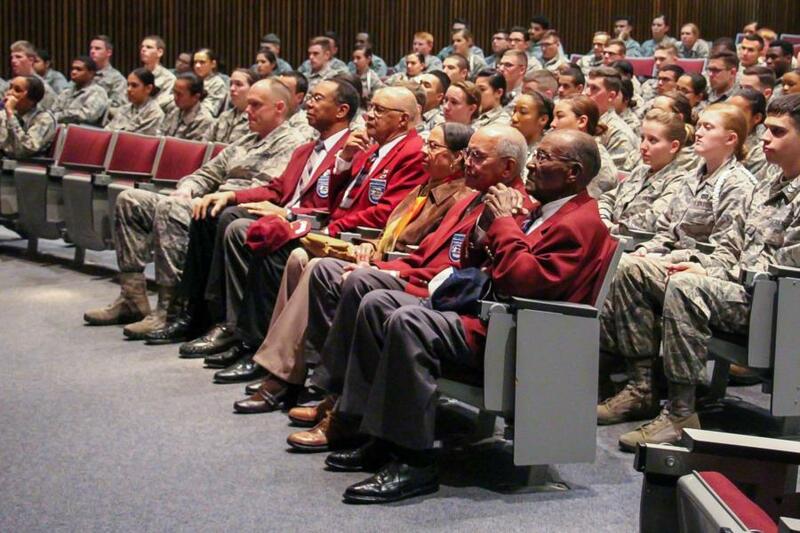 Yesterday, the Prep School had the honor of a visit by four Tuskegee Airmen. 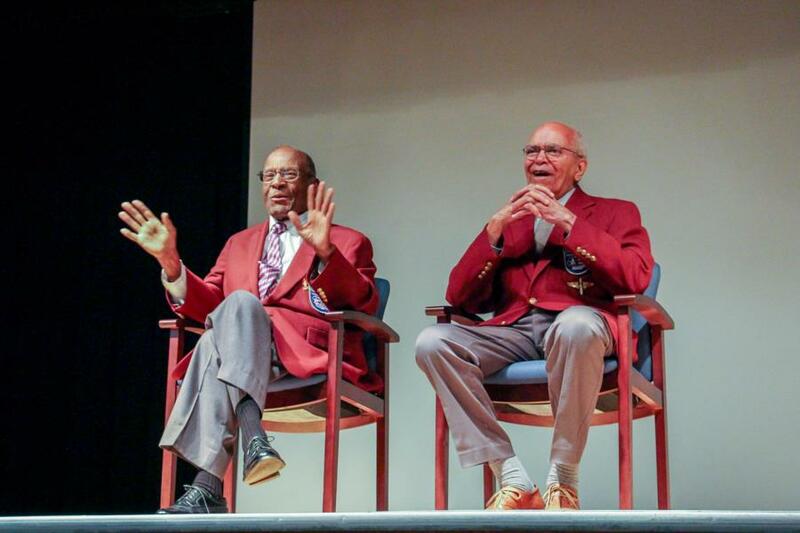 Of these four, two of them Col (Ret) James Randall and Mr. Randolph Edwards are DOTA (Documented Original Tuskegee Airmen) as well as the President "Hooks" Jones Chapter Tuskegee Airman, Col (Ret) Mark Dickerson and the Chairman of Ways and Means Committee "Hooks" Jones Chapter Tuskegee Airman, CMSgt (Ret) Loran Smith. 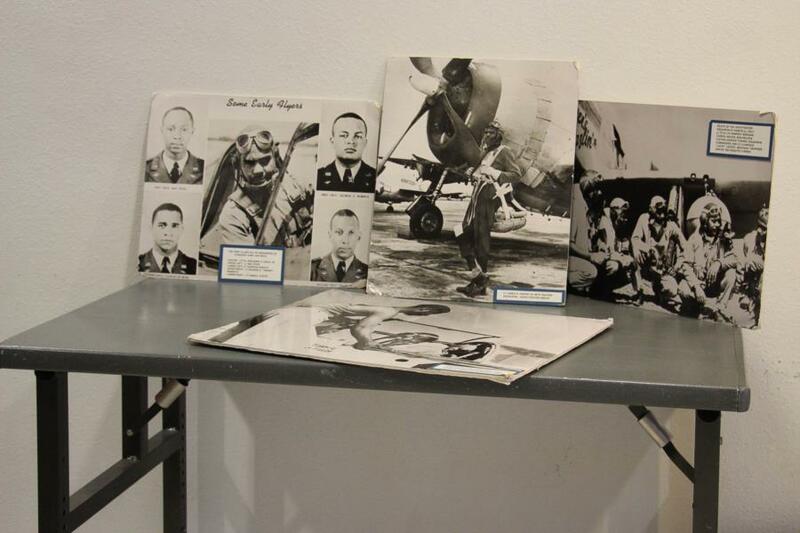 This is the second half of the two-part lesson Prep School is teaching on the history of the Tuskegee Airman and their contributions to the Heritage/Legacy of the USAF. If you'd like to go back and read our first blog from the C/C's Tuskegee Airmen Lesson click here. 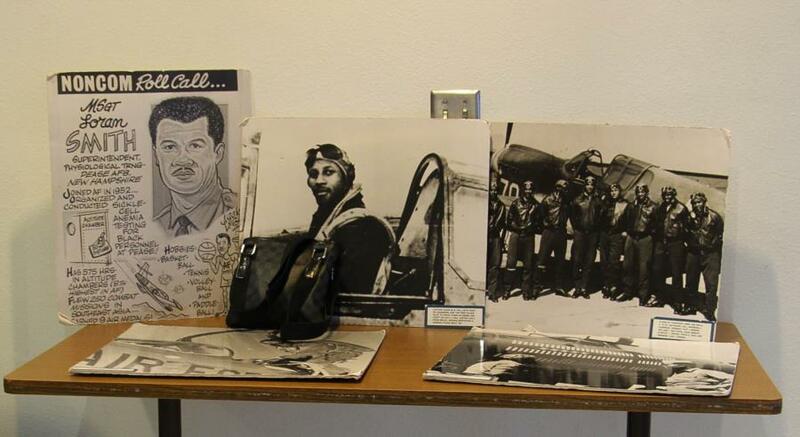 Here are some of the picture memorabilia the Tuskegee Airmen brought with them to share with the Prep School. C/C Makayla Gilliam had the honor of introducing them to the Prep Class. CMSgt (Ret) Loran Smith introduced a video "On Freedom's Wings, Bound for Glory" that tells the story about the Tuskegee Airmen. Below is a short clip of the video. Colonel James Randall (left) and Mr. Randolph “Randy” Edwards (right), both shared stories about their experiences. 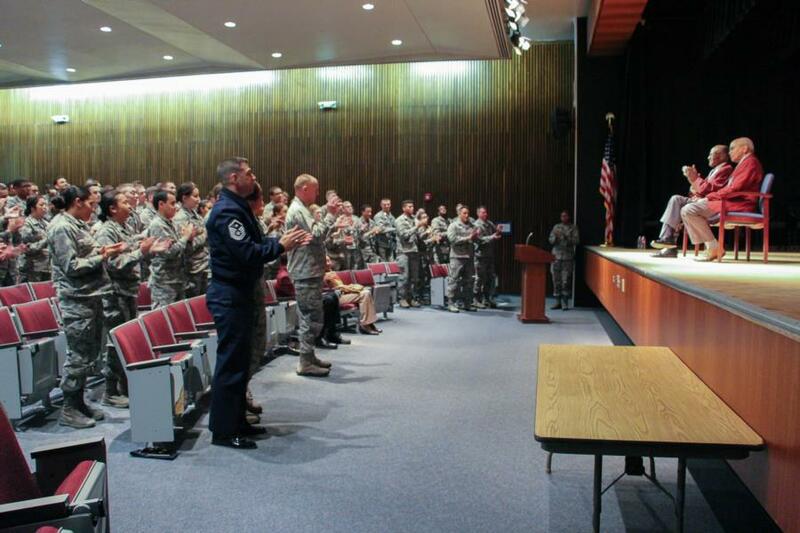 Colonel Randall retired after 36 years with a highly-decorated career in the Air Force. He is a veteran of Korean conflict and Vietnam War. 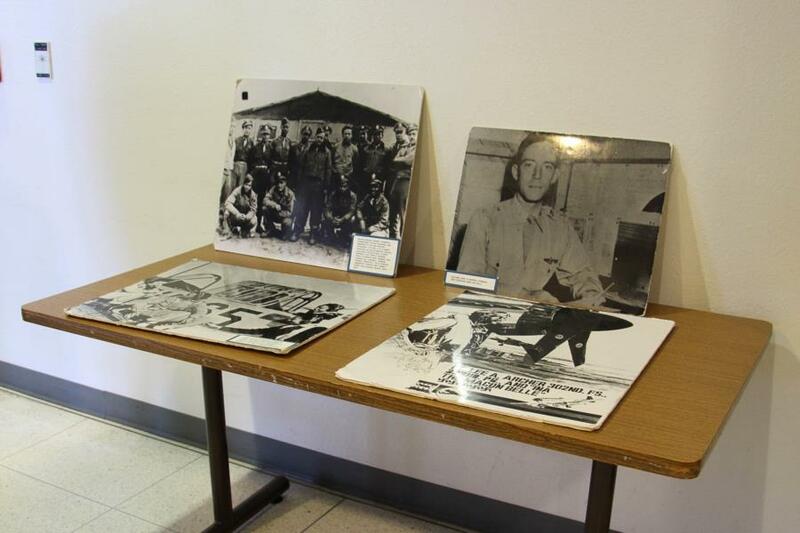 Col Randall flew 75 combat missions in the Korea and 44 combat missions during the Vietnam War before being shot down. He was able to evade capture and was eventually rescued by friendly forces. Mr. Edwards left the service at the end of WWII, but was recalled on two separate occasions during the Korean Conflict, serving a total of 18 months. Upon his return home, Mr. Edwards joined the New York State police and the Highway Patrol and retired after 27 years. He has experiences working narcotics cases and was a colleague of the legendary Frank Serpico. At the end they were both given standing ovations by the entire Prep Class and Staff in attendance. What a sight! 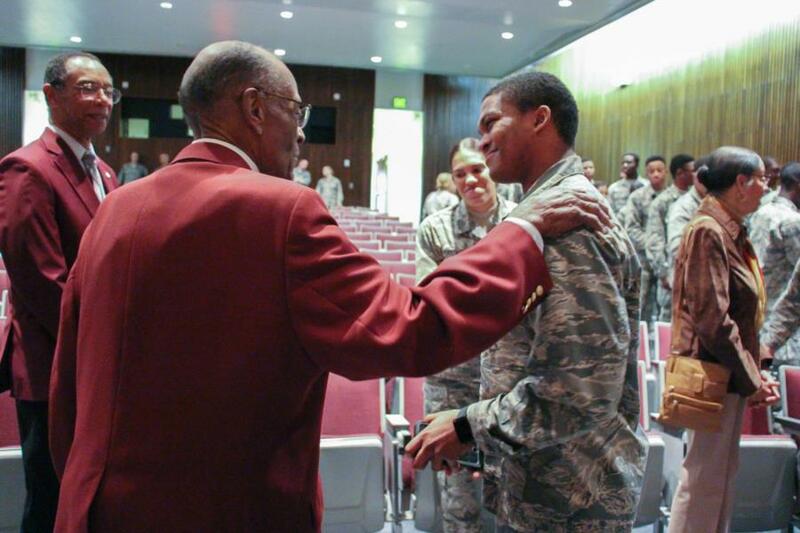 Afterwards the Preppies and Tuskegee Airmen mingled and talked with one another. 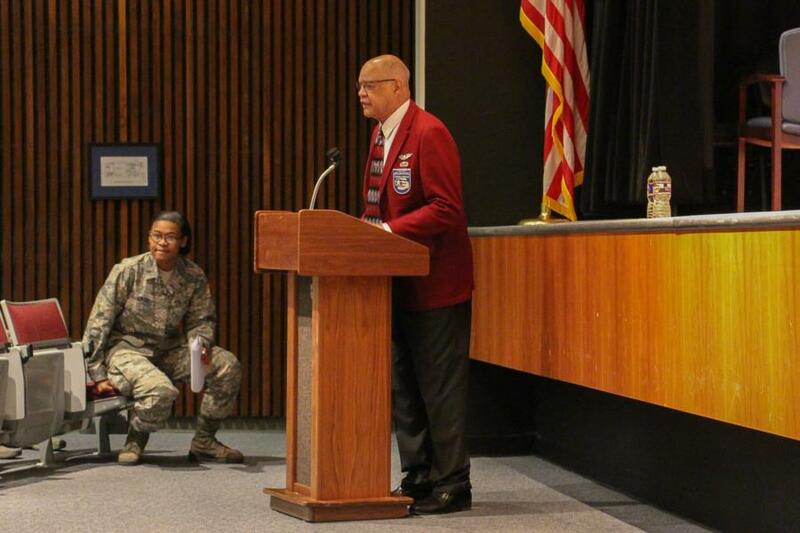 To view the rest of the pictures taken during the Tuskegee Airmen Panel. Go to Classes - Prep School - Prep Academic Studies. Or click the link below.